There is so much more to a bright smile and healthy teeth than just brushing them in the morning. There are many other crucial steps to maintain that Hollywood smile, and here are the most important ones. Generally, it is recommended to brush your teeth in the morning AND before bed. And believe it or not, but a lot of people tend to neglect the importance of brushing their teeth at night. And that is even worse than skipping brushing them in the morning. Why? While we are sleeping, little to no saliva is being produced – which makes it 1000 times easier for the bacteria to inhabit the mouth. Furthermore, all the bacteria that got in there during the day will stay in your mouth because you didn’t brush your teeth. So yeah, make sure you never forget to brush your teeth at night, and also, don’t forget about your tongue. Not only will you lower the risk of tooth decay, but also of bad breath. After the brushing is done, extract those tiny pieces of food that got stuck between your teeth by flossing. And while we’re at it, consider switching to fluoride toothpaste. Fluoride is one of the best possible defenses against tooth decay, because it doesn’t only fight germs in the mouth, but also provides your teeth with a protective barrier. And note that toothpaste choice is not just about its taste and whitening power. Three words: ditch acidic foods. Acidity is what breaks down your tooth enamel. This causes dentin to be exposed and bacteria to penetrate into your tooth. Result? Tooth decay. And just to be clear – as soon as sugar gets in contact with saliva – it turns into acid. This doesn’t mean you should stop eating acid foods for good – but rather to control your portions. Also consider incorporating xylitol gums to your nutrition. Why xylitol, you may ask? Well, there is one quite fun thing about this substance. It legit tricks bacteria into thinking they can consume it, while in reality they cannot break it down. And if this happens to be the only type of sugar in their surroundings – bacteria in your mouth will starve to death. HAH! A bright smile is not just about whiteness. It is also about the overall dental health and the shape of your teeth as well. Let’s face it – we are not all blessed with 32 perfectly straight pearls in our mouth. This is why some of us may need quality teeth straightening or polishing services. Sure, we all love to hop on our couch after work and have a glass or two of red wine, and we all just cannot live without a cup of coffee in the morning. Well, just so you know – if it can stain your white cotton tee, it can also stain your teeth. Now, don’t get me wrong, you don’t have to completely cut your favorite beverages out of your life, but make sure you take a sip of water after every sip of that morning latte, or even better: brush your teeth after drinking it. If you are self-conscious about the color of your teeth you can always opt for whitening. 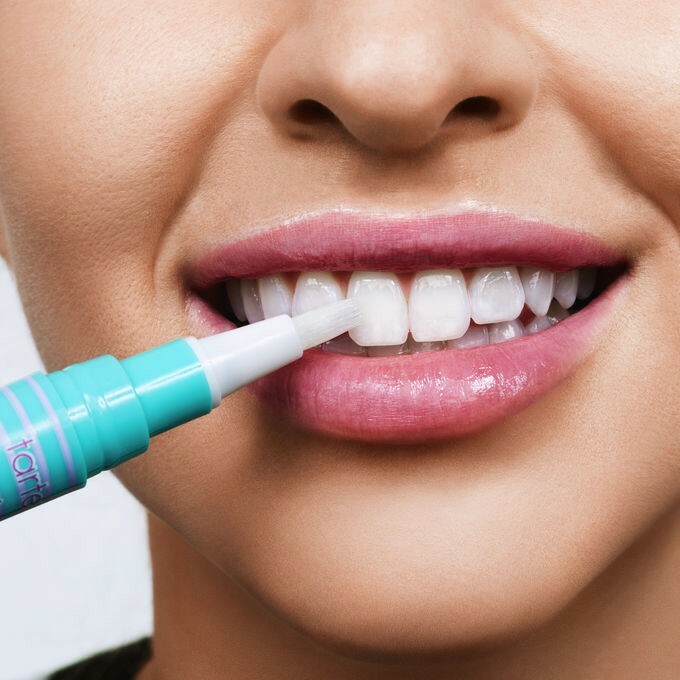 There are two ways to do this – with teeth whitening strips of professionally. While strips are easier and more affordable, having this done professionally is going to be much more visible and will last much longer too. However, you should know that this procedure has some big risks that may not be worth gambling with. Dear ladies, you’ve probably already noticed how beautiful your teeth look when you put on that special lipstick of yours, right? Well, believe it or not, but the right lipstick can do wonders for your smile. What you need to do when shopping for one is to pay attention to the base and undertones of it. Your goal is to find blue–based formulas instead of orange-based ones. Why? Well, if you take a look at the color wheel, you will notice that blues and oranges are across from each other. And when they are placed aside, blues will cancel the yellow tones. And that is all there is to know. Finally, make sure you don’t ignore any changes. If you notice your gums suddenly begun to bleed, or one particular tooth starts feeling a bit more sensitive, or anything unusual – get in touch with your dentist and let him know. 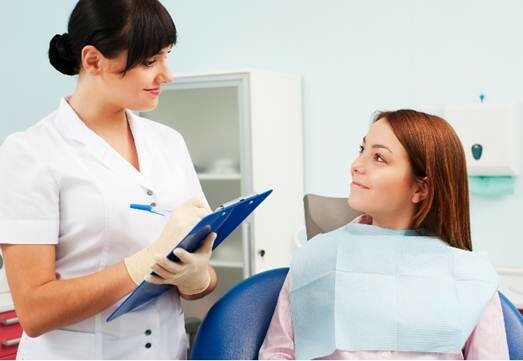 Take care of your teeth – a beautiful smile never goes out of style.